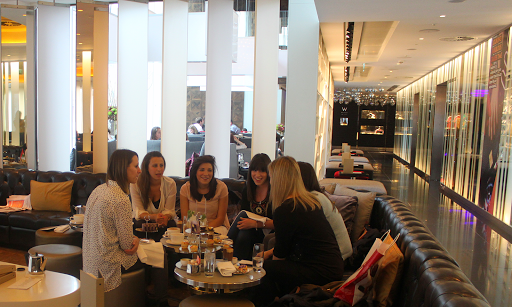 Me and the girls LOVE afternoon teas, it’s kinda our thing. So we are always on the hunt for the next one. 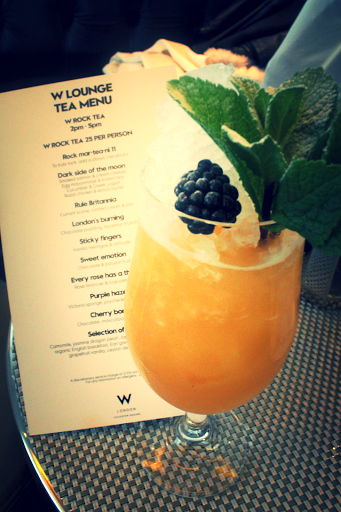 This time we decided to try out the W Rock Tea at The W Hotel on Wardour Street. 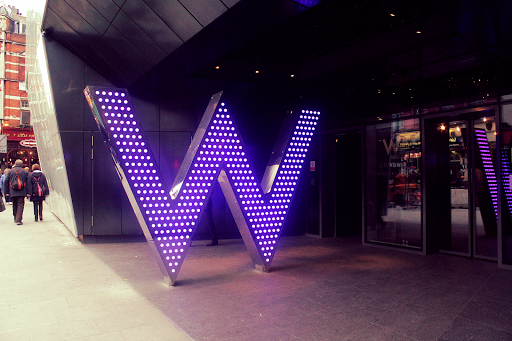 The W Hotel is located in the busiest area of town in between Leicester Square and Piccadilly however as soon as you walk through the doors you forget you are in the middle of the hustle and bustle. The lobby isn’t anything special however we headed straight up to the lounge which is gorgeous. It’s spacious and bright but still comfortable with deep sofas to lounge on…and recline after you’re full. 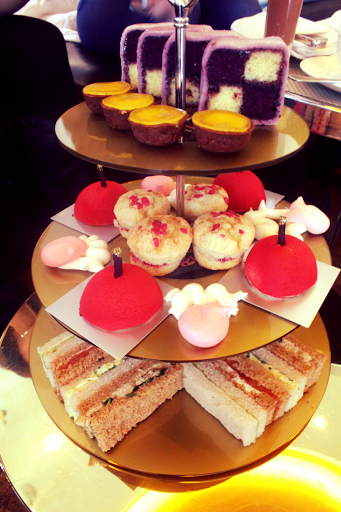 The afternoon tea is served on a 3x tiered stand that looks as though it is made from gold vinyl records and each element of the tea is named after iconic rock albums such as The Clash’s ‘London’s Burning’, Rolling Stone’s ‘Sticky Fingers’ which is brilliantly created out of meringue and shaped to look like the Rolling Stones mouth. The girls ordered the peach iced tea which of course arrived looking like a swish cocktail with frosted mint leaves and berrys. 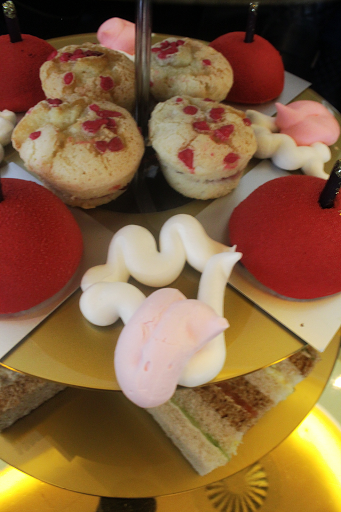 The sandwiches were tasty, but the main attraction, of course, was the sweet treats. 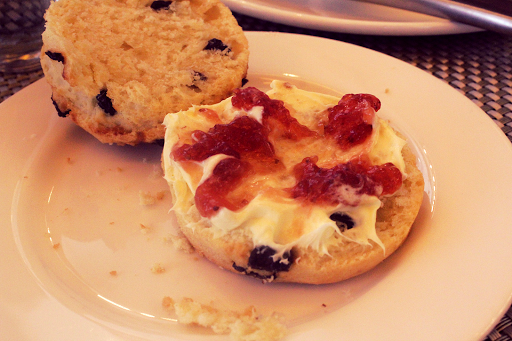 My favourite had to be the ‘Cherry Bomb’ and ‘Purple Haze’ mainly for my love of marzipan. 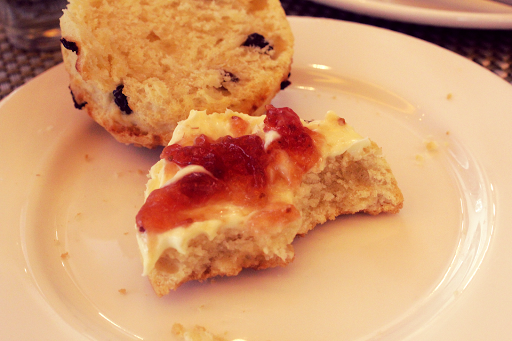 I’m not a huge fan of scones, they are pleasant, but I can take or leave them. 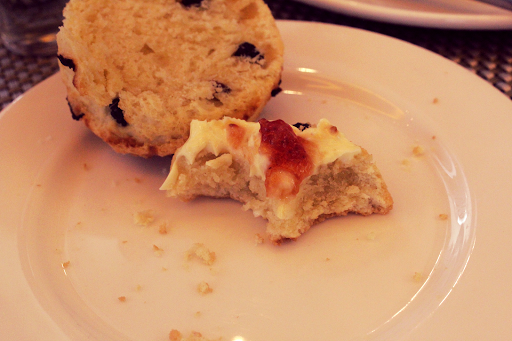 However, according to my review panel (aka ‘the girls’) they were perfect; soft with the right amount of crumbliness I believe was the verdict. Great décor, delicious food, comfy seats…if you get the right ones, my friend and I got lumbered with the stools which weren’t as comfortable so that would be the main downside. 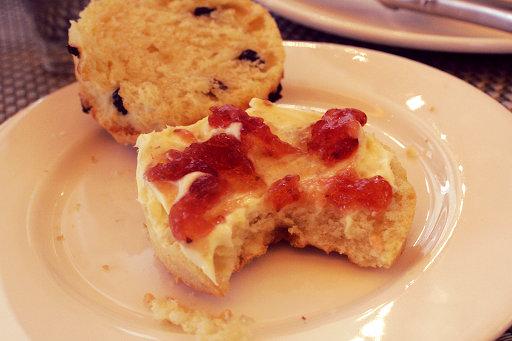 Apart from that I highly recommend this as an afternoon tea treat, for something a bit different yet still includes the classics that you crave for an afternoon tea.